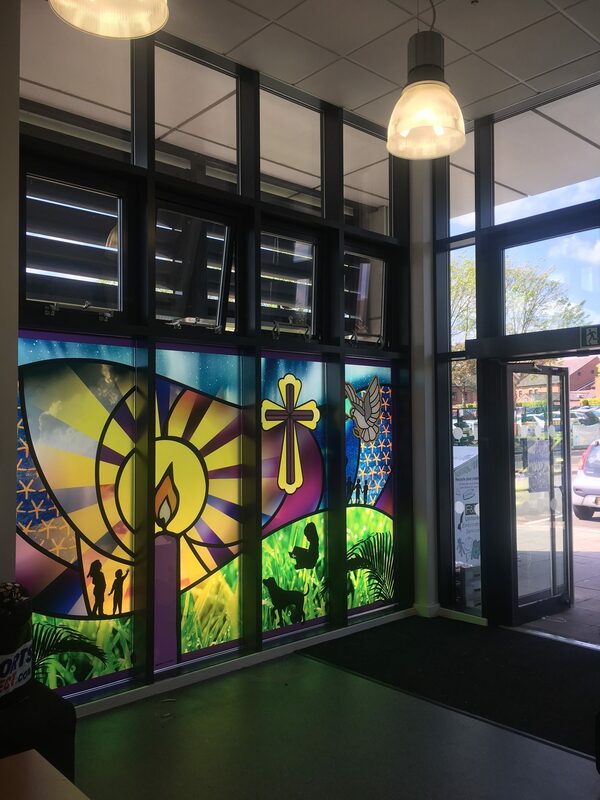 The brief: To transform the reception windows and wall to welcome visitors and pupils. 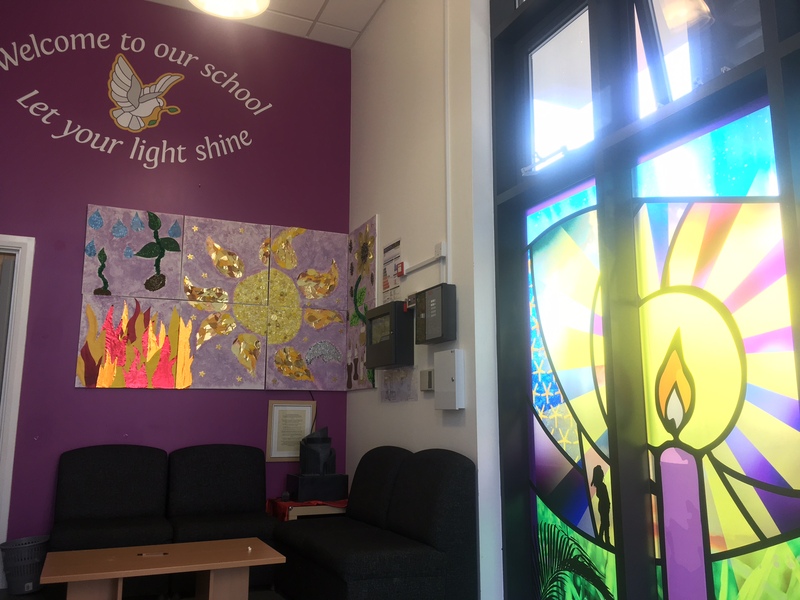 The process: Two Thirds Design were invited to Christchurch Primary School in Sandwell to produce concepts and designs, which promote the schools faith and include the school motto. 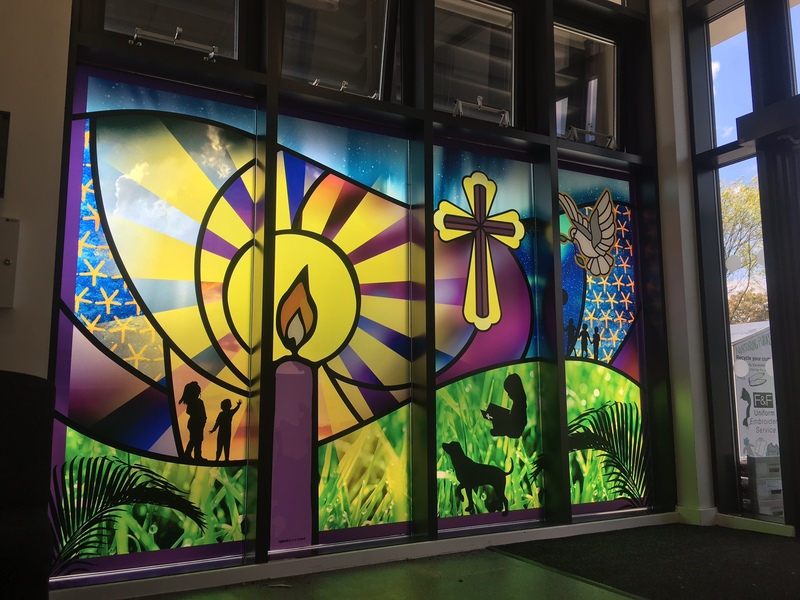 We created a montage using natural imagery, symbols of faith and even included the school dog! 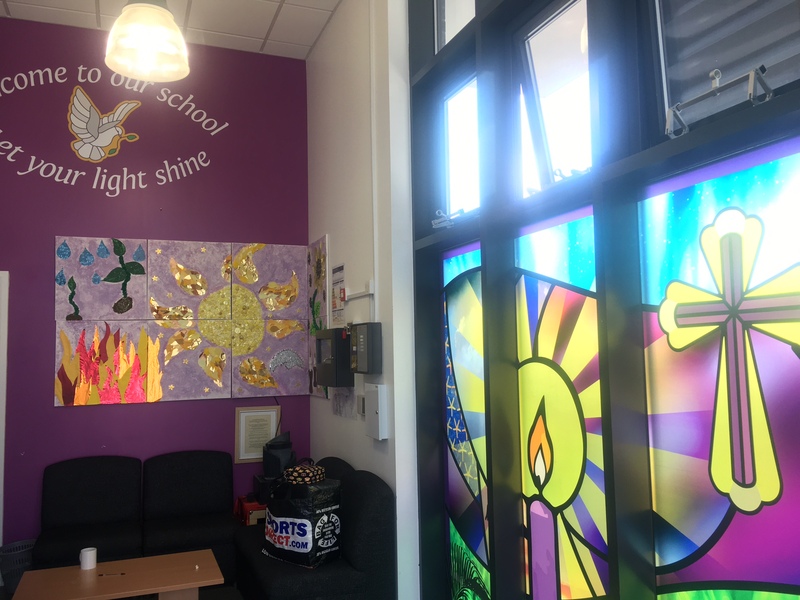 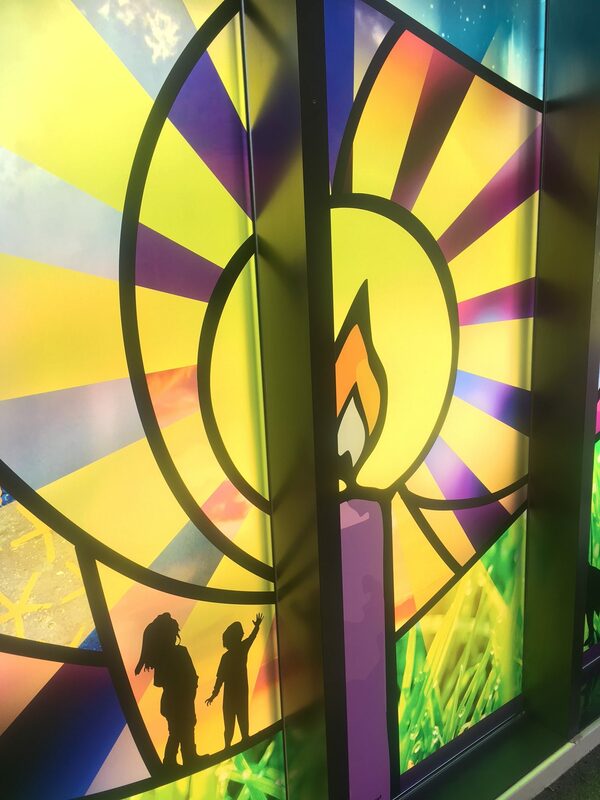 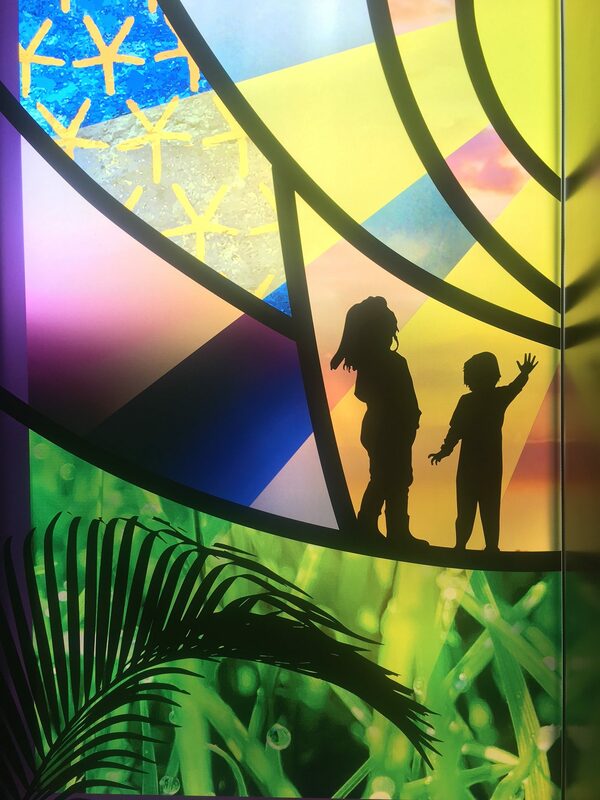 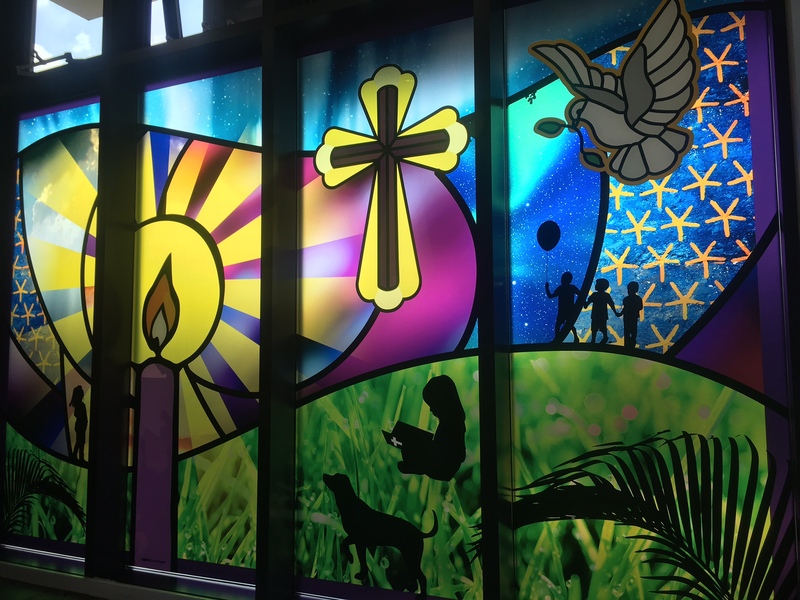 The end result: The reception space now has a stunning stained glass effect window design, and welcomes visitors with the school motto and dove clearly on display.